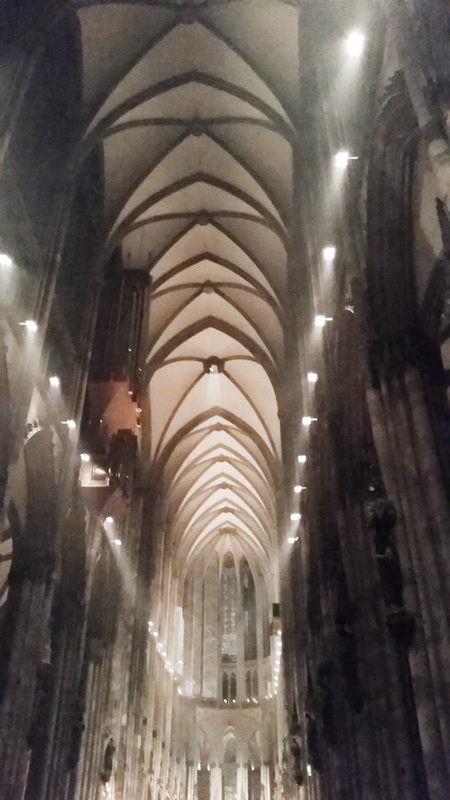 This evening [last December] I attended Vespers and Benediction. I am stunned over the attendance. This evening was my third liturgical event in the Cathedral and my thoughts turned to my mother. 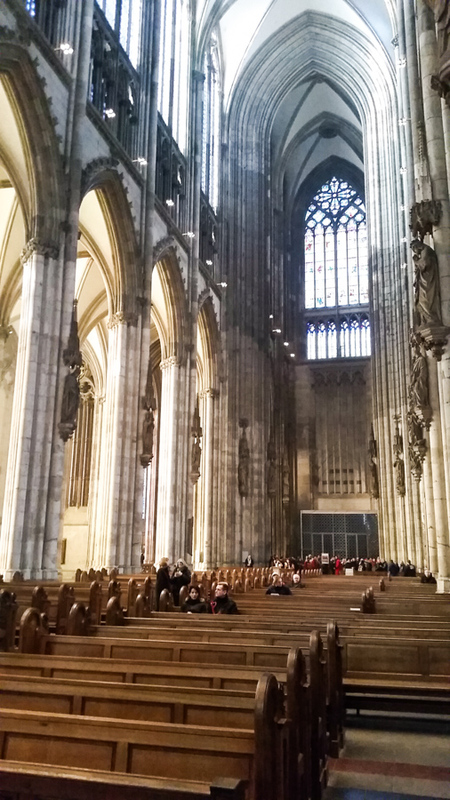 She was with me in the summer of 1988 when she first saw the Cologne Cathedral. It was emotional for her because it was one of the last things her mother saw when she left Germany as a young teenager in the 1890s. 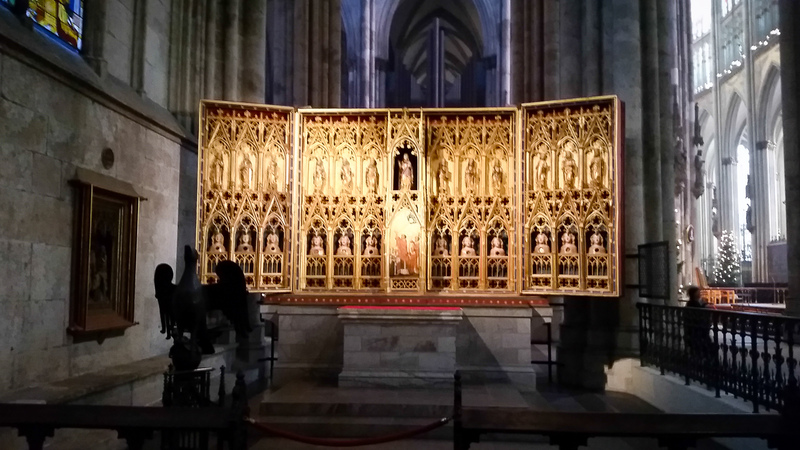 My mother said her mother would tell her how beautiful it was and one day she would see the Cathedral. 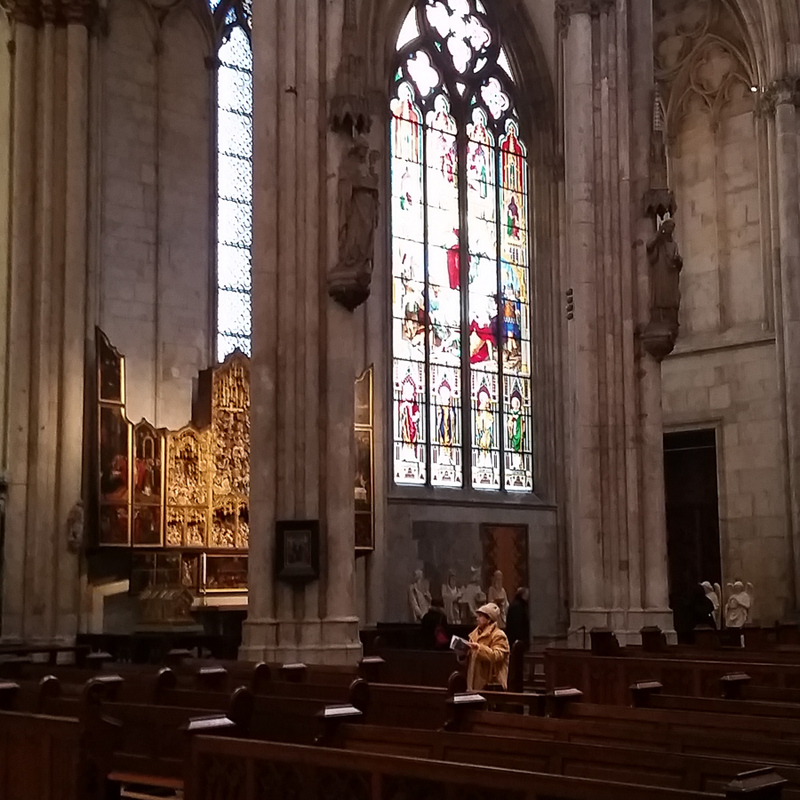 At these liturgical services I was thinking that my grandmother worshipped here since she lived in Cologne. I would look at the arches and art work and altars and think my grandmother looked at these same arches and art work and altars. Then thought how wonderful it would be if my grandmother could walk the streets of Cologne with me, knowing her love for her city. In my daydreaming I suddenly remembered that my mother said her mother always wanted to go back to Germany for a visit but after the war lost all desire do so. I never understood that but walking in the very small old city visiting all the Romanesque churches and looking at the pictures of before and after the bombings I understood. The city of her childhood that she loved had been reduced to rubble. Her Cologne no longer existed. I look at pictures of Cologne from 1875, the year of her birth, and yes it no longer exists. A modern city has emerged. Yet those churches so painstakingly reconstructed are an anchor in the past. 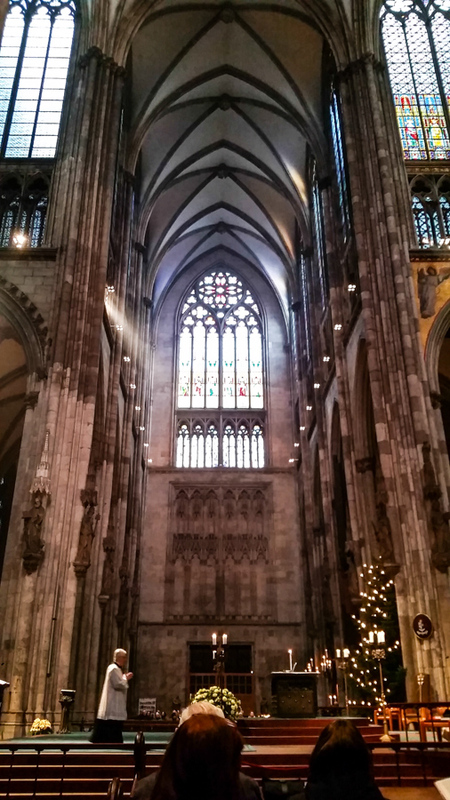 This entry was posted in Europe, Faith, Travel and tagged Cologne, Cologne Cathedral, Germany on December 31, 2015 by frjfkauffmann.